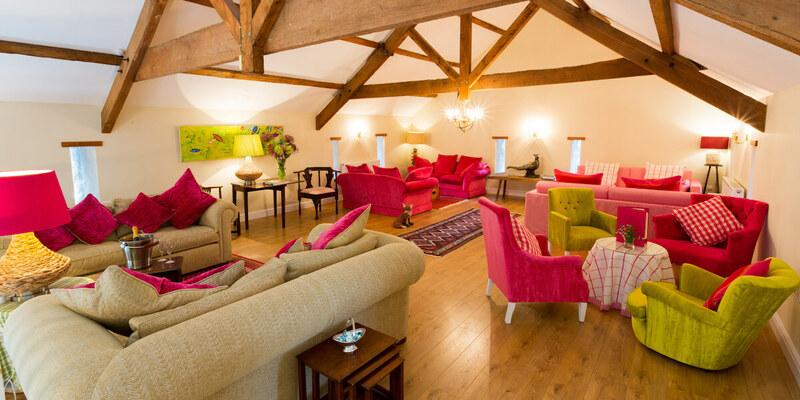 The Outbuildings is the perfect venue for a luxurious hen weekend or a getaway with the girls. If sumptuous surroundings, great food, space to relax, spectacular scenery and outdoor activities are on your agenda? Then this luxury weekend retreat on Anglesey has it all. Nestled in the rolling countryside on Anglesey’s South West corner, The Outbuildings can sleep up to 10 guests (see our bedrooms). Four luxurious en-suite bedrooms and one bespoke shepherds hut provides a unique and quirky offering for guests. Each rooms has been individually designed and has been created with luxury in mind. You will have your own private chef, fantastic activities to try your hands at and beaches on your doorstep. There is nowhere else quite like The Outbuildings! We pride ourselves on flexibility and providing guests with what they want, so always ask and we can help make sure you get a weekend to remember! Have dinner cooked for you, before huddling round the fire with drinks and dessert or swapping stories under the stars on the terrace. We offer an activity planning service – let us know what you would like to do and we can help arrange it. From guided coastal walks, paddleboarding round a nearby legendary island and powerboat rides along the Menai Strait to wild swimming or sea kayaking. As well as collection from our nearest mainline train station – Bangor, to ensure your trip runs as smooth as possible. Like The Outbuildings we want to offer you something different. At the Pink Shed Treatment Room you can experience the wonderful Ila products, ethically sourced from around the world, all the ingredients come from plants or minerals. They are luxurious, so we are delighted to have been able to offer these glorious treatments ,not to be found anywhere else in North Wales.Llinos has been trained by the Ila team and will chat through with you what treatment you would like and that would suit you. Alongside these we offer a list of all the usual treatments as well as bridal makeup. Llinos is a gentle and experienced therapist. Click on the treatments tab at the top of the page to see the full list of what is on offer. *We have a licensed bar on site, therefore we do not permit your own alcohol to be brought or consumed on site. *.